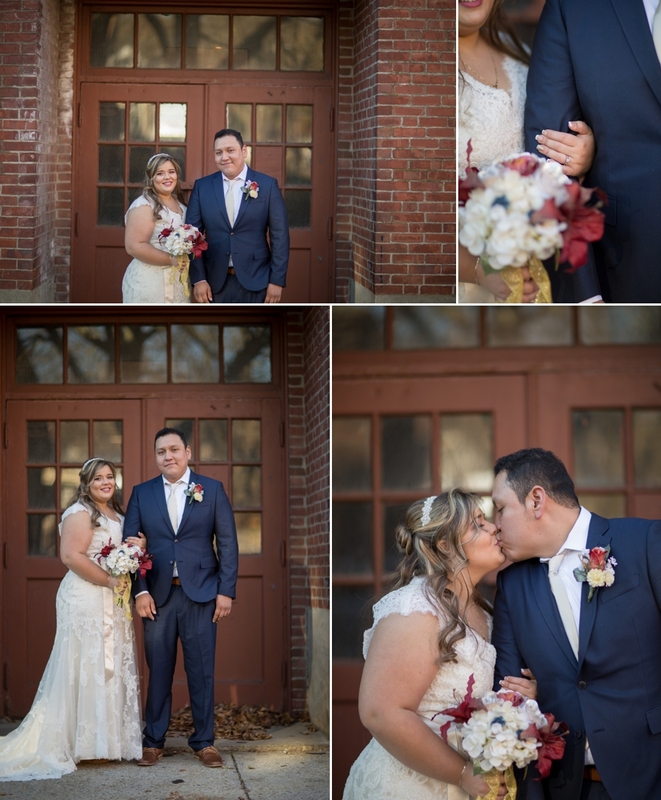 Pedro & Cassandra’s thanksgiving wedding in Milford Mass was incredible! Pedro has been best friends with my brother for years, so when they asked me to capture their wedding I was so excited. My brother, Daniel, is the best man. We toured around Mass for their formal photos. The first look was done in Hopedale, MA outside the old Draper Factory, which apparently has been vacant for over 40 years. It was incredible with all the glass and brick. We also went to the Wayside Inn Grist Mill and in Sudbury, MA and also got to do photos outside the beautiful Martha Mary Chapel. What an adorable church! Their ceremony and reception was at Medford, MA. Thanks again Cassie & Pedro! I had the best time celebrating with you and your families.